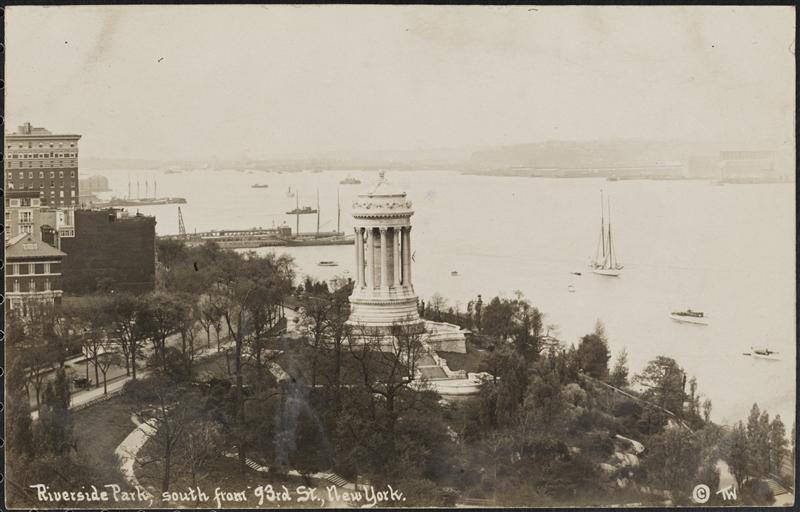 Rice established the group in 1905 to fight the disturbing sounds of river traffic, especially “against tugboat pilots who would use whistles and sirens for personal messages at all hours,” reported the New York Times in 1997. Admittedly, Rice sounds like a bit of a crank. But maybe not. New York is loud today, but it was arguably louder at the end of the Gilded Age—with elevated trains screeching, horse hoofs incessantly clip-clopping, and factory whistles, fire engine sirens, and disorderly humans making earsplitting racket. “Armed with research documenting the health problems caused by the sleep-shattering blasts, Rice launched a relentless lobbying campaign that took her to police stations, health departments, the offices of shipping regulators, and ultimately the halls of Congress,” stated a New Republic article from 2010. 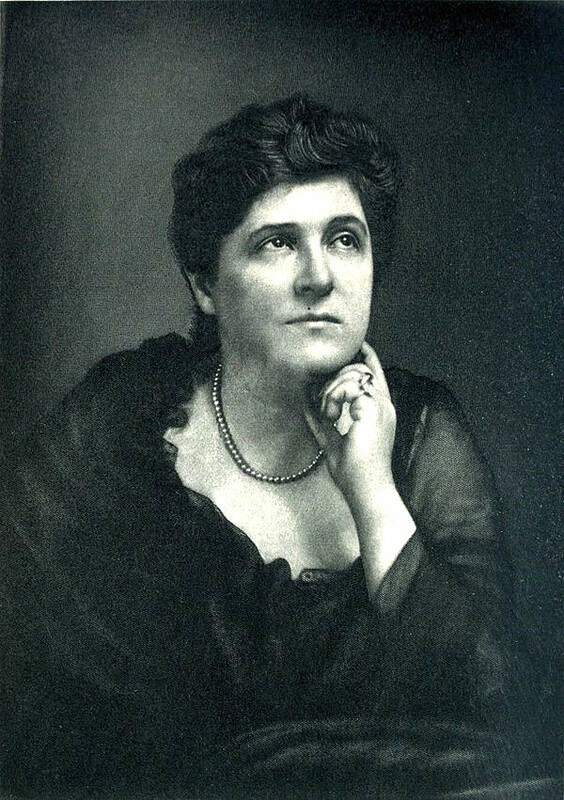 Emboldened, Rice extended her campaign “to every form of noise that jars the nerves and is not essential to the commerce of the city,” explained the New-York Tribune in 1907. Rice lobbied for quieter street vendors, less traffic, and rubber tires on milk wagons. She opposed “factory whistles, firecrackers, and boys clacking sticks along iron fences,” according to the 1997 Times article. It’s unclear how far she got waging those fights. But with the help of none other than Mark Twain, she did get schoolchildren to agree to be quieter when they walked or played near hospitals. 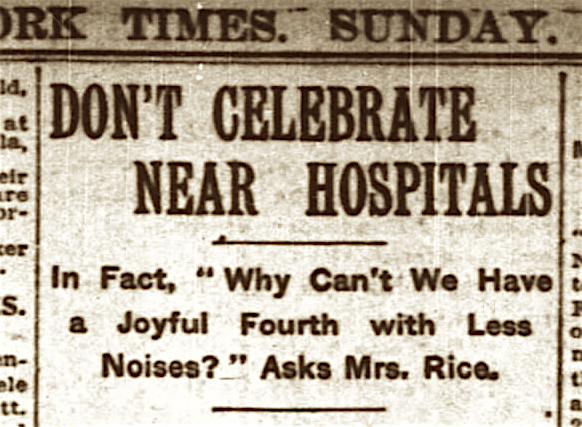 Rice and her anti-noise crusade quieted down after 1910. 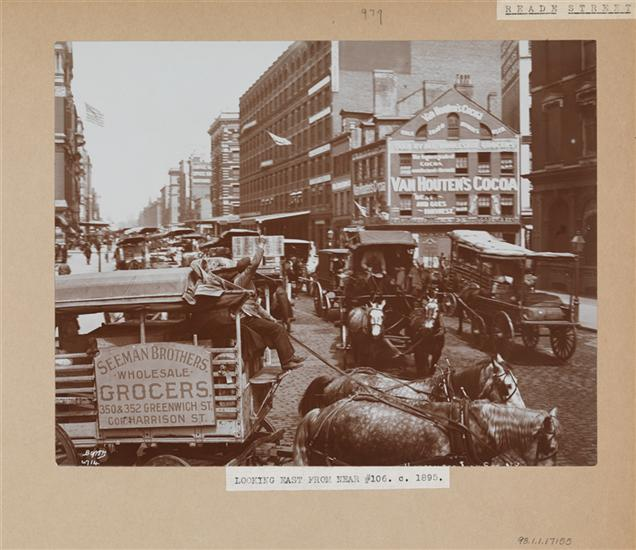 New Yorkers were still noisy, but cars replaced horse-drawn modes of transportation—and the din of the city died down. 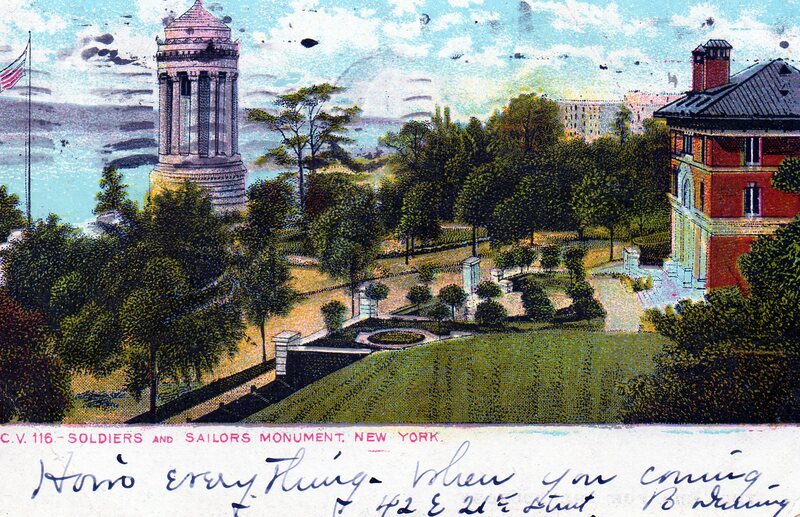 The gentle bend at Riverside Drive and 89th Street, seen here in an early 1900s postcard, is host to the majestic Soldiers and Sailors Monument—dedicated in 1902 to Union Army veterans. 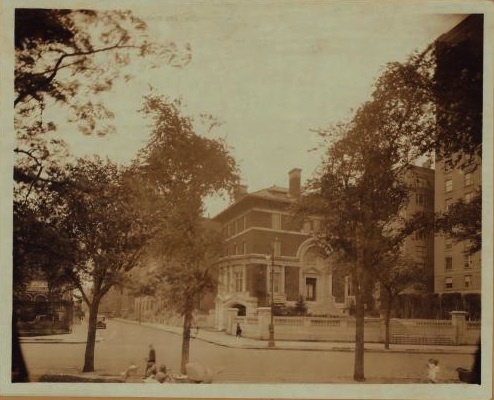 On the opposite corner is something interesting: another view of the Isaac L. Rice mansion, built in 1903 by a wealthy lawyer when Riverside Drive was lined with grand free-standing homes and rivaled Fifth Avenue in luxury. The Isaac L. Rice mansion is still there today, but maybe not for much longer unless it gets the maintenance it needs.